We combine creativity, trust, and marketing experience to deliver exceptional web design for Architects. Thirty years of design experience, means we pay attention to the details and take pride in the design process. Understanding the esthetics that Architects approach their work helps us to deliver work that meets the standards as well as the budget of small and large studios. Through competitive research and analysis, we work with you to discover the best content development for your target audience. We're experts is organic search and design your website to maximize targeted organic traffic to your site. Our "done for you" approach is designed to make web design for Architects as seamless as possible. 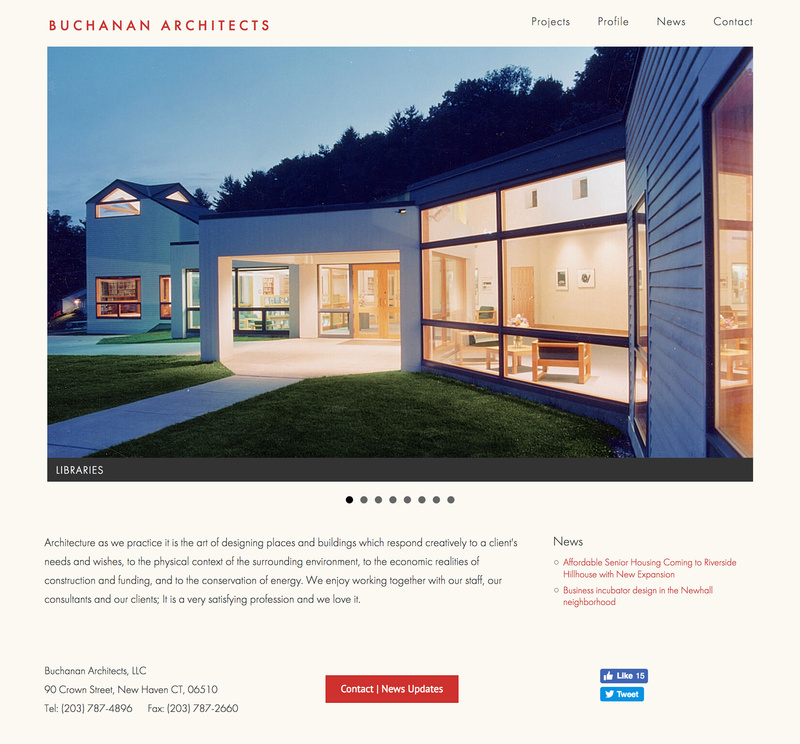 Buchanan Architects is a new Haven Architecture firm with a long history. Read more about the project. 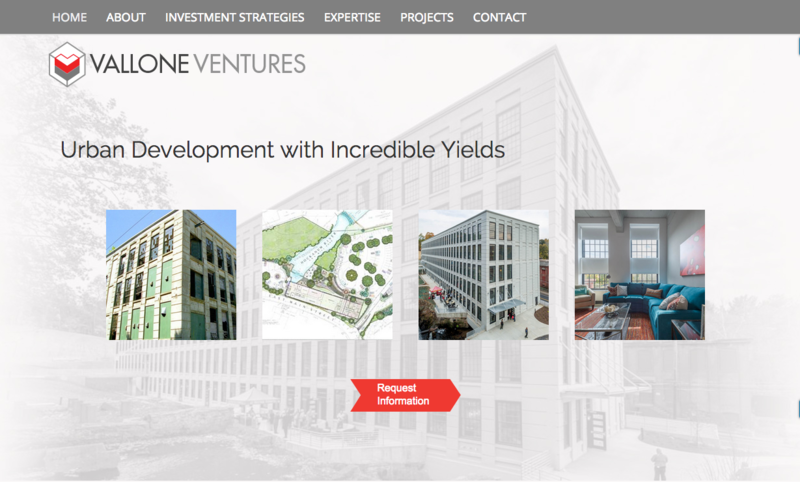 Vallone Ventures is a development company owned and managed by Vallone Architects The role of the site was to target investors, providing credentials that help build trust with this audience. 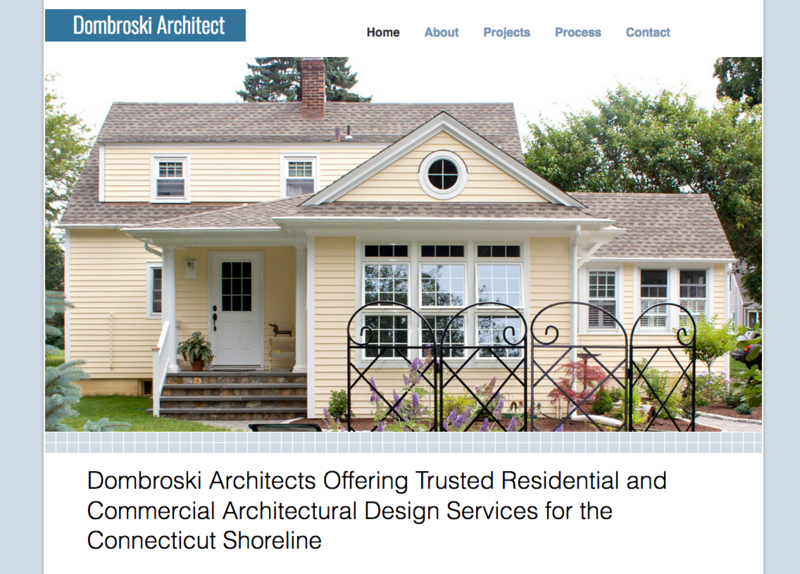 This was Dombroski Architects first website. Taking on a website project can be daunting, but the first time is always the scariest. Educating any client is important. Read more about the project. 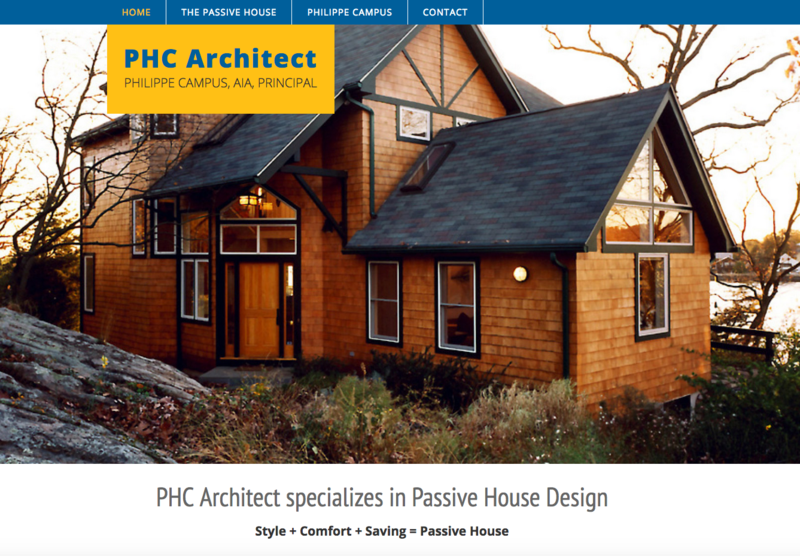 To focus on Philippe Campus's specialized market niche "the Passive House," this website redesign includes educational information about the design principals and case studies of individual projects. Read more about the project. 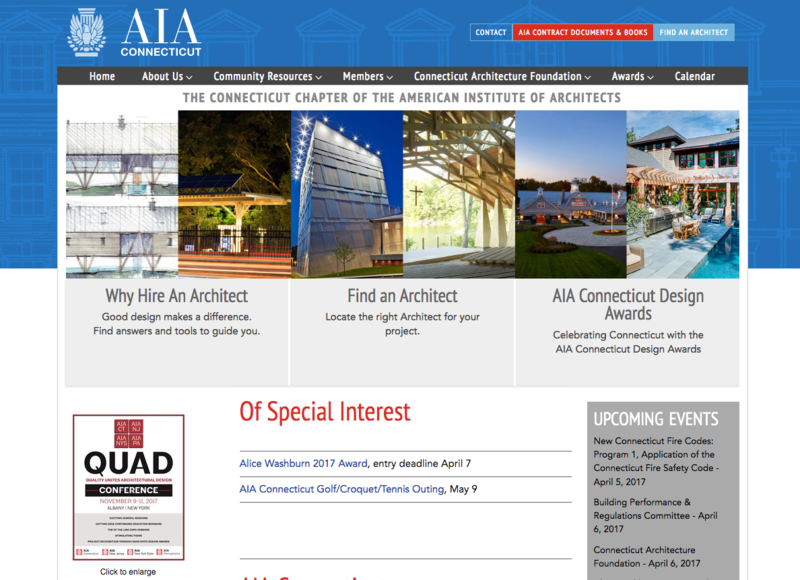 American Institute of American Architects website was our first major organization website. There were three major components in redesigning and building the website. Aesthetics of the website was very important. Creating a collection of easy to use components for event management, award showcasing and resources. Integrating a legacy data management system.